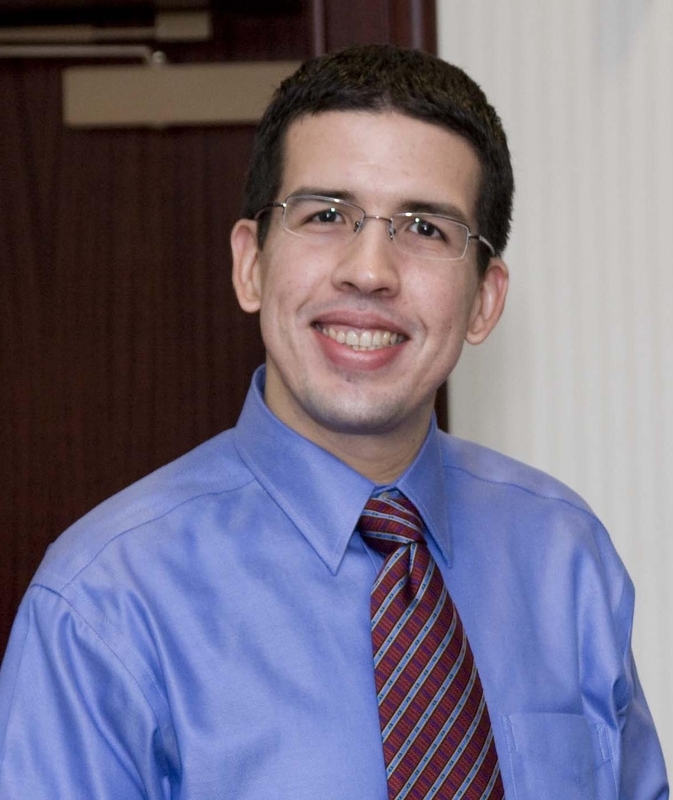 Born in Virginia and raised in Puerto Rico, Pedro received his Bachelor's degree in Electrical Engineering from the University of Puerto Rico, Mayaguez Campus. In 2006, after completing a Biomedical Engineering Master’s degree at Johns Hopkins University, Pedro came to UMBC to pursue his Ph.D. in Electrical Engineering. When he's not studying, Pedro works full time as an image processing engineer at the Johns Hopkins University Applied Physics Lab, and spends time with his wife and three-month-old daughter. I knew since high school. At the age of seventeen, I quickly recognized that a career in E.E., C.E. or C.S. was going to open a lot of doors for me. Plus, research being conducted in image processing really caught my attention. Being an electrical engineer has allowed me to work in places like NASA and the Johns Hopkins University Applied Physics Lab (JHU/APL). Complex-valued analysis of fMRI signal. FMRI signals, like many others, are collected as complex-valued signals, but usually only the magnitude is used for analysis. My work has been to develop techniques to allow for the exploitation of fMRI data in its natural, complex form. We have shown that working in the complex domain enhances our ability to identify and obtain relevant information from the brain. Not at UMBC, but I had two internships with NASA/Goddard Space Flight Center while I was a student in Puerto Rico. I highly recommend internships to any undergraduate and graduate students, if they want to enhance their resumes. Continue working at JHU/APL. My PhD from UMBC will probably help me obtain more project management and research work at JHU/APL. I was surprised about the great school pride the students feel for UMBC. This is unusual in schools with a lot of commuters. I started in 2006 as a non-degree student. I had just finished my Biomedical Engineering Master’s at Johns Hopkins and was in the process of exploring good schools for a PhD. I chose UMBC due to the quality of the research being conducted by the majority of professors. I was particularly interested in the work being done in image processing by Dr. Adali. In my application essay, I made it clear that I wanted to work with her and her group. I liked Information Theory; it is interesting but very hard. I would really recommend a good course in probability if you want to succeed as an engineer. Join as many clubs as you can, participate in internships and other programs that expose you to as many people in your field as possible. Networking is one of the most important skills any engineer or graduate student should acquire if they want to be successful in any job.